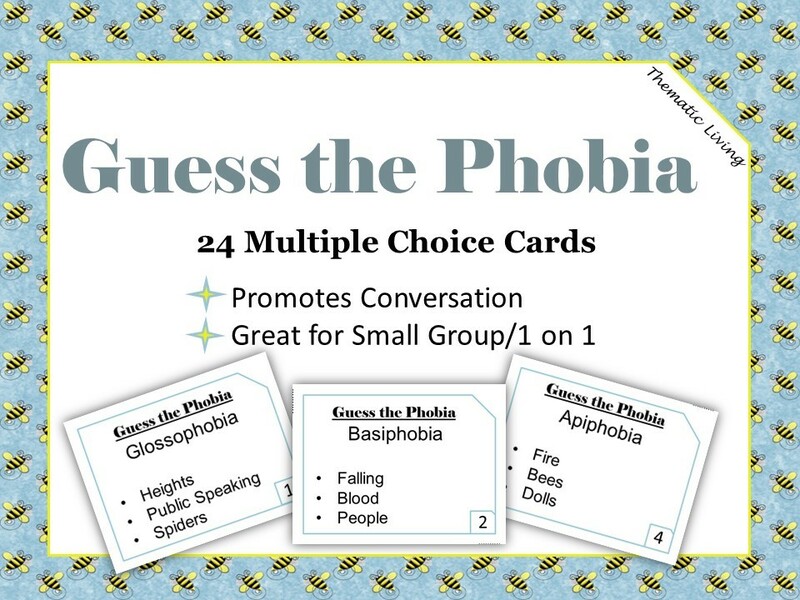 Post 1 card on your bulletin board and take a poll of what each person believes the phobia is the fear of. Guess the Phobia helps to strengthen and maintain skills for speaking, listening, reminiscing, critical thinking, communication, storytelling, and imagination. Each card allows the participant to express their thoughts and opinions when reminiscing or engaging in meaningful conversations. To play: Mix the cards up and have participants give the correct answer for the stated phobia using the multiple choices.